2-Tier Stainless Steel Spice Rack Just $13.99! Down From $50! 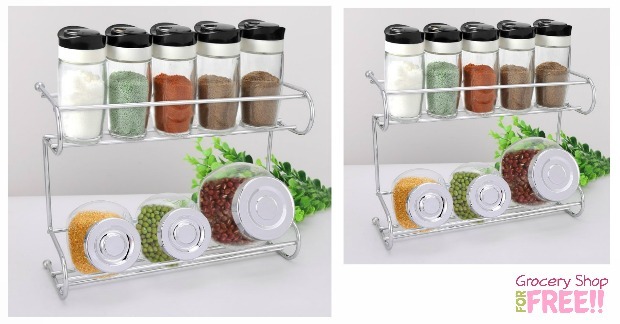 You are here: Home / Great Deals / Amazon Deals / 2-Tier Stainless Steel Spice Rack Just $13.99! Down From $50! This is a great deal on this 2-Tier Stainless Steel Spice Rack! You an get it today for just $13.99 – down from $49.99! The EZOWare Countertop Stainless Steel 2-Tier Rack offers organized space compatible with the majority of glass or plastic bottles, shakers, jars, and smaller canisters. Durable & resistant polished stainless steel counter-top design. Simply place it on any flat surface to create easy to access storage. Attractive stainless steel design can be utilized in any room of the house, including; kitchen, bath room, living room, bedroom, craft room & more.